This is a list of the Top 40 Most Popular Songs released on the Rush Released promotional CD. Each week DJs and media people who receive Rush Released send back their reaction sheets where they are given the chance to rate every song. This chart is exclusively for clients of the Rush Released CD. The chart is published weekly here, and also in Country Music People, Country Music & Dance, Up Country and Southern Country magazines. To watch the video for each song (where available) click on the titles. 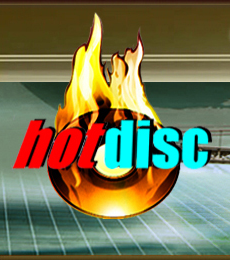 The Hotdisc chart is compiled from DJs and industry professionals’ ratings of songs currently being promoted on the Rush Released CD. They are not airplay charts, as airplay charts cannot work in Europe because there are no terrestrial country stations. The hundreds of country programmes on air which we service are likely to play a particular song only twice at most in a three month period, therefore rendering airplay charts insignificant in Europe. It works well in America where there are plenty of non-stop country stations but it does not work here. Any Airplay Chart you may see claiming to provide this service is bogus and Hotdisc does not condone these charts at all. They are misleading at best for the reasons stated. The Hotdisc charts are put together weekly using ratings supplied by DJs who give scores to every song on the last three months’ editions of Rush Released. The scores are averaged out per week to give an accurate guide to the songs which are being championed by the industry. The aim is to showcase the songs which the industry professionals are flagging up as quality songs. This is a very useful exercise as it is free of politics, hype and rigging and done solely on merit! Copyright © 2016, Hotdisc, 21 Redpath Crescent, Galashiels TD1 2QG, Scotland. Used with permission from HotDisk.